I have found (over time) that the popularity of supernatural creatures seems to move in phases. Back in 2005, with the release of Twilight, vampires seemed to be the creature of choice. Not since the 90’s, and the ever-popular Buffy The Vampire Slayer had we seen so many long-fanged blood- sucking immortals roaming after dark and preying on their unfortunate human victims. After Twilight, every supernaturally-themed teen book had a vampire in it, with everyone jumping on the bandwagon and flaunting the winning formula of human/vampire interaction. As we saw more and more vampire creations unleashed in print and on screen, we began to feel overwhelmed by the word ‘vampire’ and soon the creative types were trying to think outside the box. They wanted to try and buck the trend, but still keep within the paranormal theme, so they decided to subject us to different creatures in the lead role- werewolves, fallen angels, fairies, witches, ghosts, shapeshifters- nothing was exempt. Finally, with all those possibilities exhausted, the trendsetters decided to go down a different route- zombies. Comedy films like Shaun Of The Dead, apocalyptic films like 28 Days Later, the film adaptation of Max Brooks’ World War Z and the popular television series The Walking Dead, have all contributed to our fascination with re-animated, stiff-gaited, brain-eating creatures. 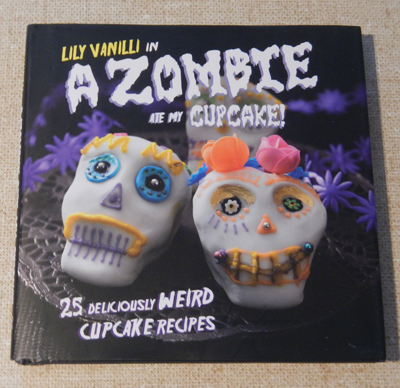 This is an awesome little ‘cook book’ which features many zombie-themed cupcake designs. The photos of the finished cakes are amazing and inspiring, if not a little daunting- sometimes you feel as though you have to have a master’s degree in cake decorating to be able to pull off the design as it is seen in the book! Regardless, if you have ever wanted to create cupcakes that feature oozing eyeballs, brains, severed feet and flesh-eating crows, this is the one for you. The book has detailed instructions (a lot of the work involved deals with making the sugar and icing decorations for the cupcakes), and it even has some random zombie-themed trivia questions (from books and film) scattered throughout the pages if you want to test your zombie knowledge (the answers can be found in the back of the book). This is one for true cupcake-loving, zombie-adoring people. Despite the title, this gift book really isn’t as exciting as it sounds. You might open it and expect to see some amusing or unusual things itemised, but a lot of it, like kittens and Santa, are the kind of dislikes you’d expect to see from your average hermit or antisocial neighbour. There are even some things that zombies hate, such as sheep and re-gifting, that, while bizarre, are not completely abnormal for us regular folk- I know one or two people with the same mindset when it comes to these things. That said, perhaps these people I know really are zombies- therefore the book may be completely accurate and I no longer have an argument. 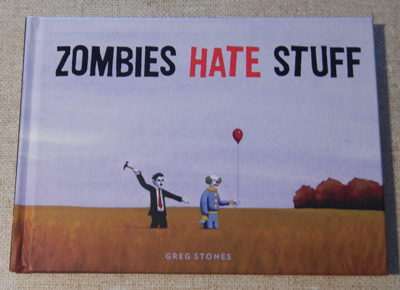 The illustrations in Stones’ book are quite quirky, and it’s interesting to see how he represents the zombie’s dislikes using watercolour artwork. Have a flick through the pages and see what you think. 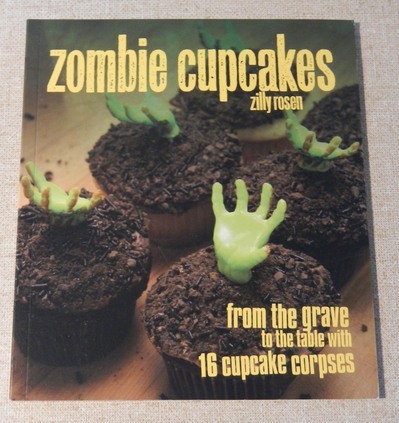 Another zombie-themed cupcake book, this one isn’t as aesthetically pleasing as the Zombie Cupcakes book mentioned above, but it still has a few recipes that may tempt the tastebuds. Featuring two very fetching ‘Day Of The Dead Skull’ cupcakes on the cover, the author of this book uses fair trade and natural ingredients to turn an ordinary-looking cupcake into a sculptural and deliciously creepy masterpiece. This book is very Halloween themed- there are creepy-crawlies, graveyards and horror-type creations resting atop these cupcakes, but don’t let the lack of zombies deter you from checking out this little hardcover. With illustrations and photos featuring on every page, and 25 original cupcake recipes, this is a perfect addition to your cooking bookshelf. There’s no other way to describe it- this book is simply bizarre. 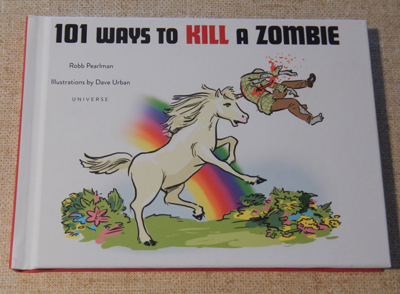 Filled with amusing illustrations, this checklist of ways to kill a zombie is both twisted and entertaining. Some of the methods used are extremely inventive- who would have thought that skinny jeans would be the perfect way to off a brain-dead zombie, or that the Black Friday sales could end the undead. 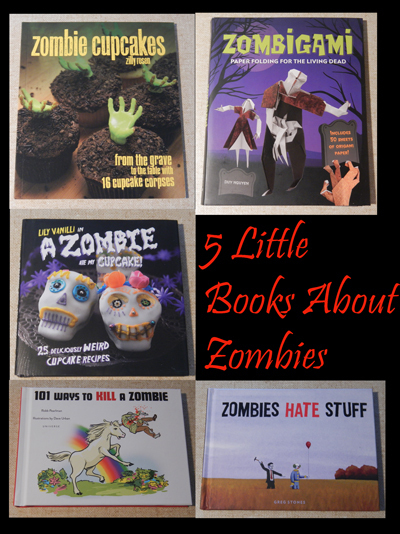 There are also plenty of pop-culture references throughout the book that can help you to kill a zombie- popular films, books, television shows, actors, characters and singers are mentioned, as well as mythological creatures, historical events, and your average everyday object. This book is very funny, and I doubt you could find anyone who wouldn’t crack a smile after seeing at least one of the killing methods. Get a copy of this book and prepare to be amused. Paper folders, crafters and zombie lovers will love this unusual and original take on the traditional Japanese art of origami. Featuring 13 Zombigami projects, this little book is perfect if you want to learn how to fold paper into intricate designs, but want to avoid the usual designs of cranes or decorative envelopes. 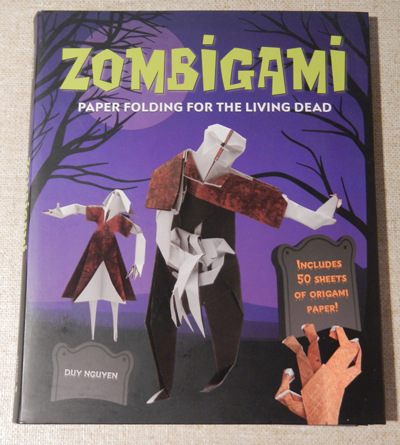 With clear folding instructions for each project, you can create your own zombie creatures, as well as graveyard crosses, disembodied hands, and axe/arrow-pierced paper skulls. Best of all, the book comes with 50 free sheets of origami paper, 13 tear out posters of the zombies you can make, and tips on customising your zombie origami creations, so you’re guaranteed to have hours of creative paper-folding fun. 101 Ways to Kill a Zombie looks like a lot of fun!